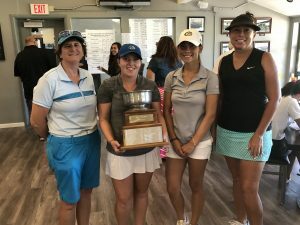 Jim Fuoti, tournament director, reports the Sacramento County Women’s Championship was conducted at Mather Golf Course on July 14 and 15. Both a scratch and net division were played with the following results. In the scratch division, Lexi Perry (El Dorado Hills) won with an 8 under par score of 136 (68–68). 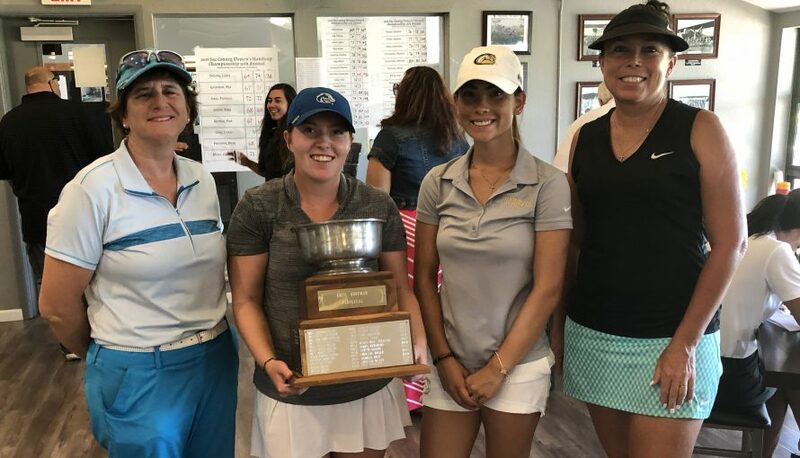 Samantha Hutchison (San Jose) and Arielle Swan (Seaside) tied for second place with 4 under scores of 140 and Kelly Wilson (El Dorado Hills) finished fourth with an even par score of 144. In the net division, Tyra Jarvis (Sacramento) won with a net score of 10 under par 134 (68-66). 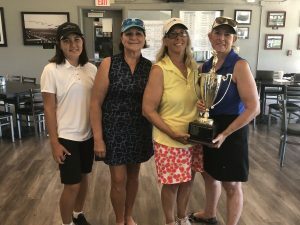 Pam Katros (Fair Oaks) finished second with an net score of 8 under par (67-69) and Vicki Philpott (Roseville) finished third with net score of 7 under par (68-69). Mia Gribskov (Fair Oaks) and Linda DeLong (Gold River) tied for fourth with net scores of 6 under par 138. Mia Gribskov was awarded fourth prize based on a card-off by virtue of her back nine score of net 34.